We found ourselves in need of an adventure yesterday, however the weather forecast involved random rain showers throughout the day. In a landscape that is dominated by loose rock and dirt, hiking down a gorge wasn’t the smartest of options. 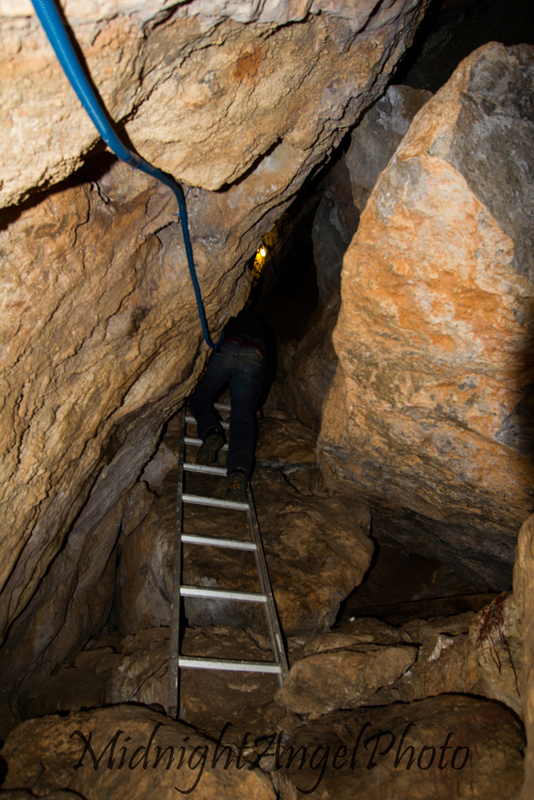 Browsing online, my friend stumbled upon some various caves on a geocaching website. 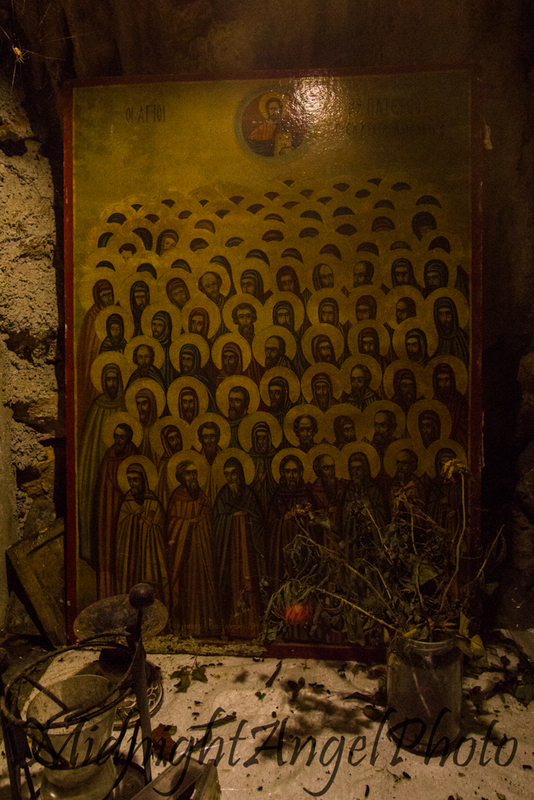 One in particular caught our attention and didn’t have warnings about running water: the Cave of the 99 Holy Fathers. 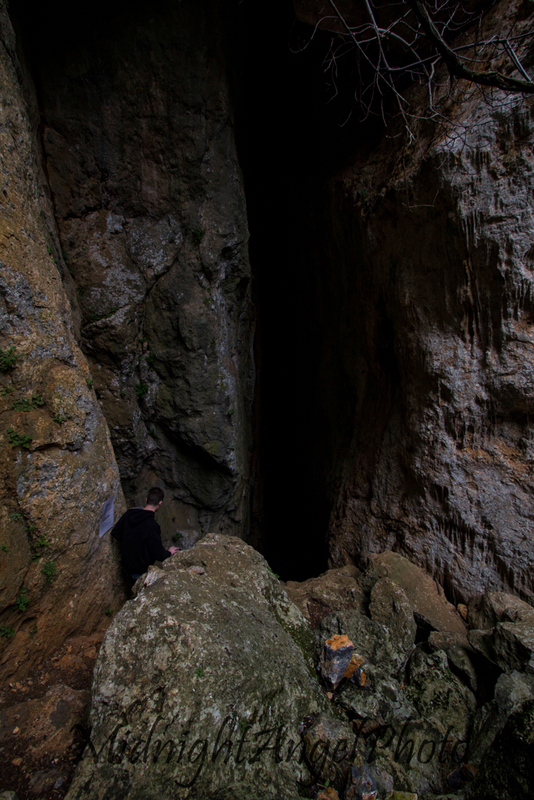 The cave was located on the south side of the island, in the little village of Azogires. You can check out the geocache page for the cave here, for the lat/long, as well as a little hand drawn map of the village with directions on reaching the cave, and a diagram of the cave layout. 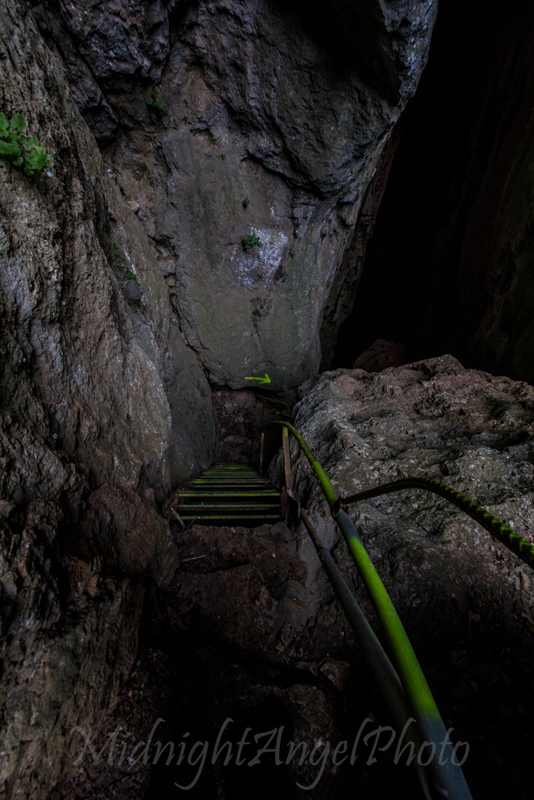 Once you arrive at the parking area, it is a short walk up the mountainside to the cave. 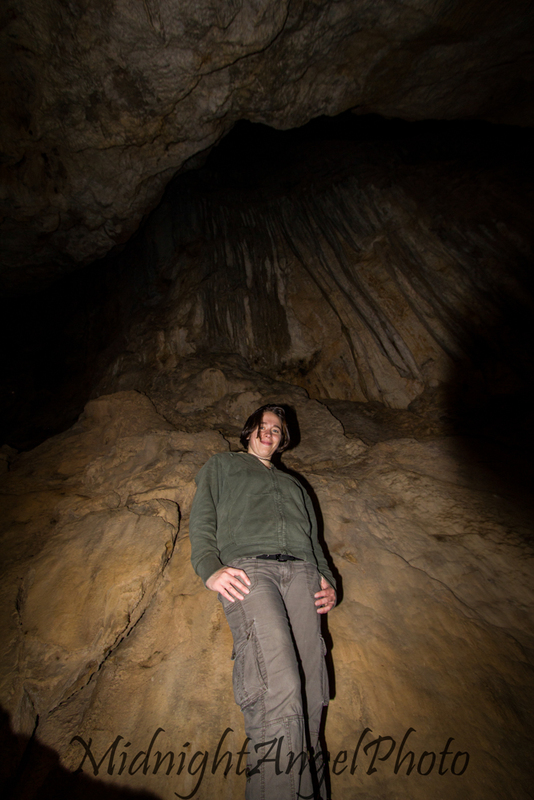 When we got to the cave mouth we were pleasantly surprised to find a sign stating that the cave was lit with solar power from 0800-1800. Once down in the cave we were even more thankful for the surprise lighting, which was just a simple string of lights down one side of the cavern. 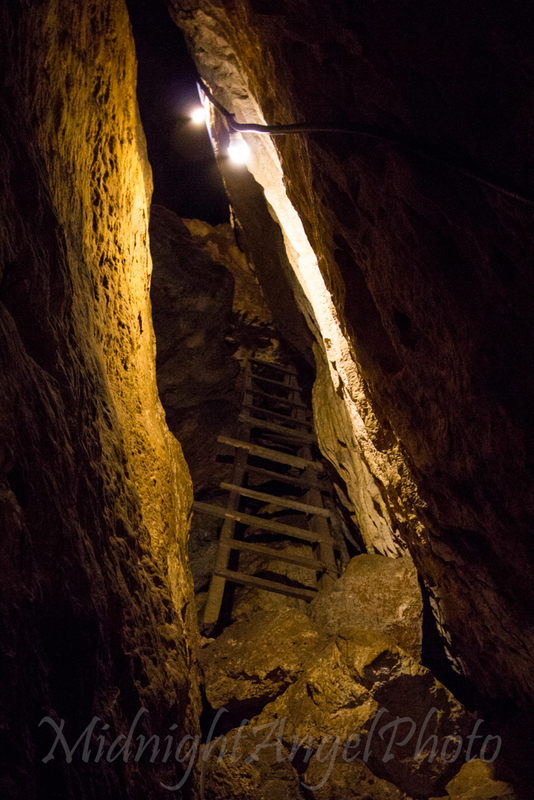 It was enough light to see to get around, but still kept the cavern quite dark and exciting. In the first large cavern is a little shrine for the 99 Holy Fathers. 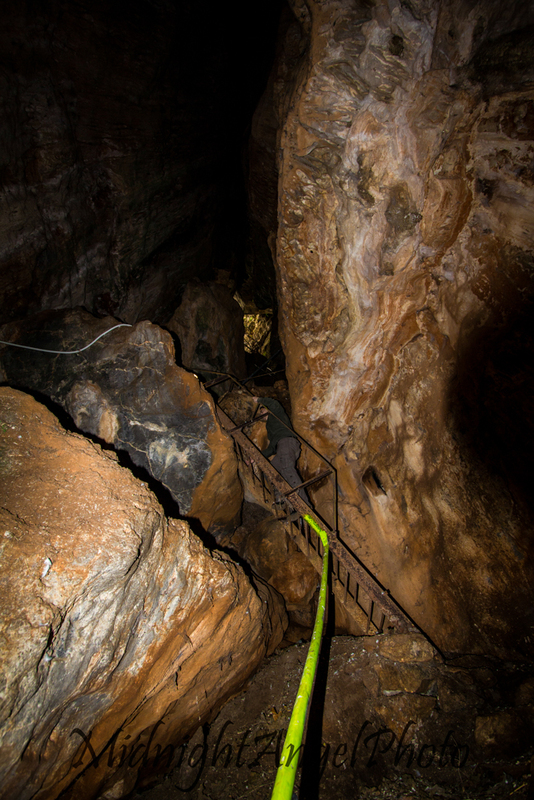 The cave then splits, one path going up an old, wooden ladder, the other going down a metal ladder. 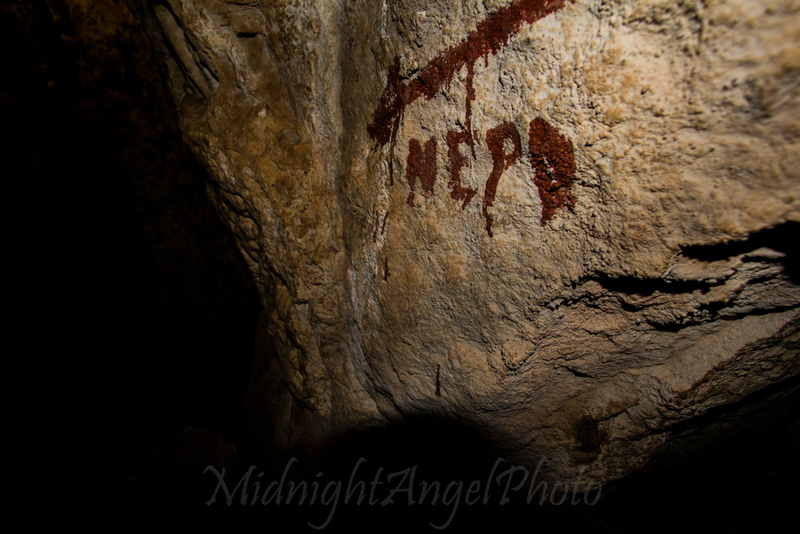 The latter follows a spray painted Greek word on cave walls: “NEPO.” This is pronounced “nero,” meaning water. This fork goes down into a narrow little area that you need to squeeze through. If you glance down while squeezing, you’ll spot that water down among some of the rocks, there really isn’t that much of it. 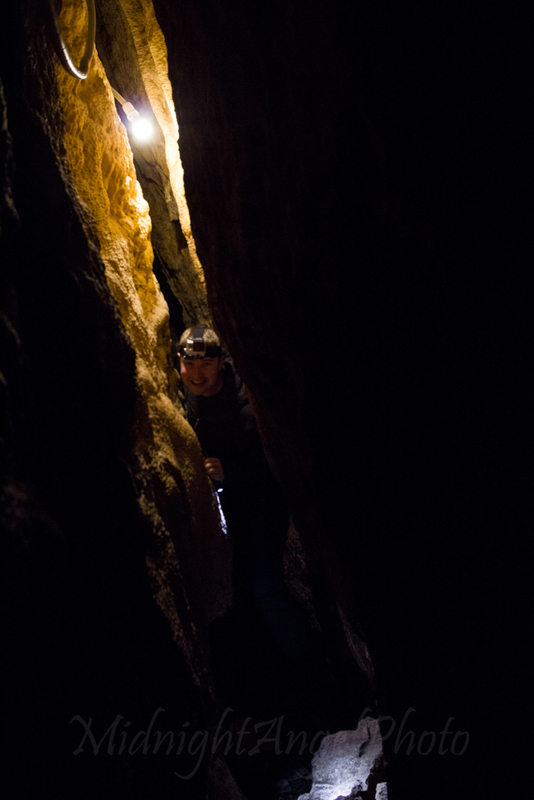 You don’t have to squeeze for long, you’ll quickly find yourself climbing up into a tiny room (chamber is too large a word for this area) that is a dead end.